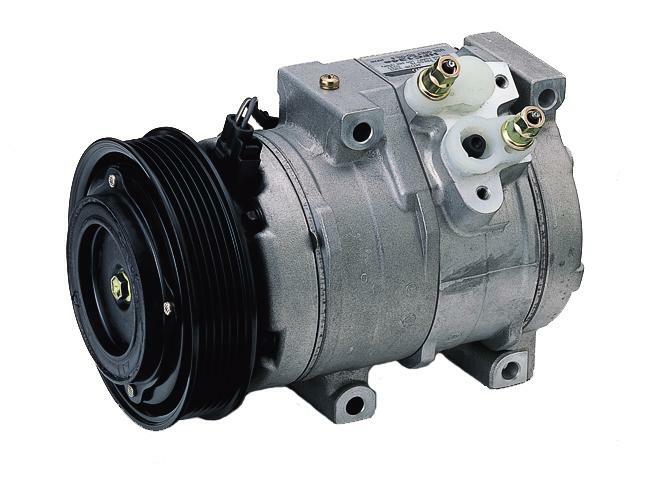 Click For More Info 2004 - 2006 AMANTI ALL V6 3.5 ALL ALL ALL OE recommended replacement part. OE-specified Oil included. Click For More Info 2010 - 2013 FORTE ALL L4 2.0 ALL ALL ALL OE recommended replacement part. OE-specified Oil included. Click For More Info 2010 - 2013 FORTE ALL L4 2.4 ALL ALL ALL OE recommended replacement part. OE-specified Oil included. Click For More Info 2010 - 2013 FORTE KOUP ALL L4 2.0 ALL ALL ALL OE recommended replacement part. OE-specified Oil included. Click For More Info 2010 - 2013 FORTE KOUP ALL L4 2.4 ALL ALL ALL OE recommended replacement part. OE-specified Oil included. Click For More Info 2001 - 2001 OPTIMA ALL V6 2.5 ALL ALL ALL OE recommended replacement part. OE-specified Oil included. Click For More Info 2001 - 2005 OPTIMA ALL L4 2.4 ALL ALL ALL OE recommended replacement part. OE-specified Oil included. Click For More Info 2002 - 2005 OPTIMA ALL V6 2.7 ALL ALL ALL OE recommended replacement part. OE-specified Oil included. Click For More Info 2007 - 2008 OPTIMA ALL L4 2.4 ALL ALL ALL OE recommended replacement part. OE-specified Oil included. Click For More Info 2007 - 2009 OPTIMA ALL V6 2.7 ALL ALL ALL OE recommended replacement part. OE-specified Oil included. Click For More Info 2009 - 2010 OPTIMA ALL L4 2.4 ALL ALL ALL OE recommended replacement part. OE-specified Oil included. Click For More Info 2011 - 2011 OPTIMA ALL L4 2.0 ALL ALL ALL OE recommended replacement part. OE-specified Oil included. Click For More Info 2011 - 2011 OPTIMA ALL L4 2.4 ALL ALL ALL OE recommended replacement part. OE-specified Oil included. Click For More Info 2012 - 2014 OPTIMA ALL L4 2.0 ALL ALL ALL OE recommended replacement part. OE-specified Oil included. Click For More Info 2012 - 2014 OPTIMA ALL L4 2.4 ALL ALL ALL OE recommended replacement part. OE-specified Oil included. Click For More Info 2001 - 2002 RIO ALL L4 1.5 ALL ALL ALL OE recommended replacement part. OE-specified Oil included. Click For More Info 2003 - 2005 RIO ALL L4 1.6 ALL ALL ALL OE recommended replacement part. OE-specified Oil included. Click For More Info 2006 - 2011 RIO ALL L4 1.6 ALL ALL ALL OE recommended replacement part. OE-specified Oil included. Click For More Info 2006 - 2011 RIO5 ALL L4 1.6 ALL ALL ALL OE recommended replacement part. OE-specified Oil included. Click For More Info 2002 - 2005 SEDONA ALL V6 3.5 ALL ALL ALL OE recommended replacement part. OE-specified Oil included. Click For More Info 2006 - 2009 SEDONA ALL V6 3.8 ALL ALL ALL OE recommended replacement part. OE-specified Oil included. Click For More Info 2010 - 2010 SEDONA ALL V6 3.8 ALL ALL ALL OE recommended replacement part. OE-specified Oil included. Click For More Info 2011 - 2014 SEDONA ALL V6 3.5 ALL ALL ALL OE recommended replacement part. OE-specified Oil included. Click For More Info 2000 - 2001 SEPHIA ALL L4 1.8 ALL ALL ALL OE recommended replacement part. OE-specified Oil included. Click For More Info 2003 - 2006 SORENTO ALL V6 3.5 ALL ALL ALL OE recommended replacement part. OE-specified Oil included. Click For More Info 2007 - 2009 SORENTO ALL V6 3.8 ALL ALL ALL OE recommended replacement part. OE-specified Oil included. Click For More Info 2008 - 2009 SORENTO ALL V6 3.3 ALL ALL ALL OE recommended replacement part. OE-specified Oil included. Click For More Info 2011 - 2011 SORENTO ALL V6 3.5 ALL ALL ALL OE recommended replacement part. OE-specified Oil included. Click For More Info 2011 - 2012 SORENTO ALL L4 2.4 ALL ALL ALL OE recommended replacement part. OE-specified Oil included. Click For More Info 2013 - 2013 SORENTO ALL V6 3.5 ALL ALL ALL OE recommended replacement part. OE-specified Oil included. Click For More Info 2013 - 2014 SORENTO ALL L4 2.4 ALL ALL ALL OE recommended replacement part. OE-specified Oil included. Click For More Info 2014 - 2014 SORENTO ALL V6 3.3 ALL ALL ALL OE recommended replacement part. OE-specified Oil included. Click For More Info 2010 - 2011 SOUL ALL L4 2.0 ALL ALL ALL OE recommended replacement part. OE-specified Oil included. Click For More Info 2013 - 2013 SOUL ALL L4 1.6 ALL ALL ALL OE recommended replacement part. OE-specified Oil included. Click For More Info 2000 - 2004 SPECTRA ALL L4 1.8 ALL ALL ALL OE recommended replacement part. OE-specified Oil included. Click For More Info 2004 - 2006 SPECTRA ALL L4 2.0 ALL ALL ALL OE recommended replacement part. OE-specified Oil included. Click For More Info 2007 - 2009 SPECTRA ALL L4 2.0 ALL ALL ALL OE recommended replacement part. OE-specified Oil included. Click For More Info 2005 - 2006 SPECTRA5 ALL L4 2.0 ALL ALL ALL OE recommended replacement part. OE-specified Oil included. Click For More Info 2007 - 2009 SPECTRA5 ALL L4 2.0 ALL ALL ALL OE recommended replacement part. OE-specified Oil included. Click For More Info 2005 - 2008 SPORTAGE ALL L4 2.0 ALL ALL ALL OE recommended replacement part. OE-specified Oil included. Click For More Info 2005 - 2008 SPORTAGE ALL V6 2.7 ALL ALL ALL OE recommended replacement part. OE-specified Oil included. Click For More Info 2009 - 2010 SPORTAGE ALL V6 2.7 ALL ALL ALL OE recommended replacement part. OE-specified Oil included. Click For More Info 2009 - 2010 SPORTAGE ALL L4 2.0 ALL ALL ALL OE recommended replacement part. OE-specified Oil included. Click For More Info 2011 - 2014 SPORTAGE ALL L4 2.0 ALL ALL ALL OE recommended replacement part. OE-specified Oil included. Click For More Info 2011 - 2014 SPORTAGE ALL L4 2.4 ALL ALL ALL OE recommended replacement part. OE-specified Oil included.